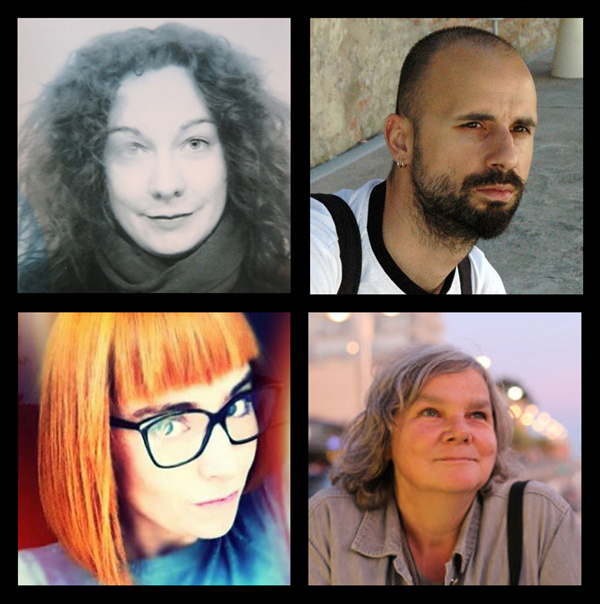 We are happy to introduce the international jury for the Backlight ´17 open call and to announce the theme Independence for the 2017 event. Backlight Photo Festival is soon to open the call for Backlight ´17, for photographers and artists working with lens-based media to submit their works in, under the theme Independence. We are looking for proposals with critical, artistic and/or socially engaged approach and works which deliberate with – what independence nowadays stands for and how it relates to power and the ability of having an impact to the common status quo. And furthermore, how do we define, value and embrace individual and collective independence and how has the notion of independence shaped people and nations in the past? We wish to open the theme of independence to reach beyond the thoughts related to recognized states and proclaimed brigades to ideas of peoples self-determination in relation to communities. How do we gain our self-reliance and identity as a child or as youngster? What is the future of young population in terms of economic and mental independence from their families, institutions and societies? The role of a state in the world of global politics and economy has changed rapidly as economic viability takes over the strategic planning and as international agreements replace local people´s demands. Furthermore, when independence is gained through financial capacity and autarky, collective responsibility and equal autonomy seems often to be left behind. This easily leads to loudening discords, bitterness and spread of unsavoury ideologies and statements, discouraging independent evaluation ability. We encourage the participants to question and re-define the different aspects of independence from the notion of self-reliance and identity, autonomies in closed communities and traditions to independence in modern societies and nation states -in (supra-) national, cultural, social, historical, gender- and status- based, financial, human, philosophical and other contexts as well as in the context of social and human structures. Further instruction for the application process and the link to the online form can be found at www.backlight.fi in March/April 2016. Tuula Alajoki (1975, Finland) is a curator and the director of the Backlight Photo Festival. She has been actively involved in Photographic Centre Nykyaika ´s actions since her graduation as a visual artist in 2001. For Backlight she has worked in various positions since 2008, while also finishing her masters degree in art at Taik -university of Arts and Design (Aalto University). Alajoki has worked widely on photography field from teaching to organizing events and curating exhibitions. In 2012 she was appointed to be in charge of the Backlight Photo Festival. Ângela Ferreira (1975, Portugal) is the Artistic Director of the Portuguese Photo Festival Encontros da Imagem in Braga. She has PhD in Visual Communication at the Federal University of Rio de Janeiro, Brazil and at the Universidade do Minho, Portugal. She has contributed with articles to diverse magazines, interviewed international artists, and introduced their work to the Portuguese Scene. She is interested in documentary and photo essay oriented works and works addressing contemporary issues whether abstract or concrete. Tina Schelhorn (1952, Germany) is the founding director of Galerie Lichtblick, Cologne since 1986. She has worked on the international photography field for decades as a curator, festival organizer, lecturer and juror for many prices and nominations. For nine years she also worked in the international photography auction house Cornwall working with international collectors and collections. Since 2011 she has been the curator for annual selection and the educational program in the Kolga Tbilisi Photo in Georgia.